Pure Life therapists are licensed and experienced in dealing with the unique challenges faced by our students. They facilitate weekly individual therapy, as well as group sessions during which students and staff work together to confront and overcome individual issues through mutual understanding, support, and honest feedback. Therapists also work one-on-one with parents each week to keep them involved in their student’s process and to provide parent coaching. By working together, Therapists and Field Guides are able to streamline therapeutic treatment plans for each individual and facilitate intentional therapeutic experiences according to each student’s needs. Pure Life Aspiro uses a strengths-based, integrated clinical model in which students quickly learn new, healthy coping strategies, behavioral and emotional regulation, leadership skills, and life skills that lead to future success. Pure Life therapists are licensed and experienced in dealing with the unique challenges faced by our students. They facilitate weekly individual therapy, as well as group sessions during which students and staff work together to confront and overcome individual issues through mutual understanding, support, and honestfeed back. Therapists also work one-on-one with parents each week to keep them involved in their student’s process and to provide parent coaching. By working together, Therapists and Field Guides are able to streamline therapeutic treatment plans for each individual and facilitate intentional therapeutic experiences according to each student’s needs. Pure Life Aspiro uses a strengths-based, integrated clinical model in which students quickly learn new, healthy coping strategies, behavioral and emotional regulation, leadership skills, and life skills that lead to future success. DEVELOPING A LIFE SUCCESS PLAN. What am I going to do with my life? What does a healthy relationship look like? I want to be true to myself, but I’m not sure I even know who I really am. Many of our students worry about their future. Our life skills curriculum is designed to help students identify their interests, talents, and strengths. We explore how they can create a success plan for their life. We talk about personal development, career development, relationship development, and goal setting. Students will walk away from the program with a clear picture of what a meaningful life could look like for them, along with a very specific plan for how to achieve a future they can get excited about. We are committed to providing our students the best care in the industry through a holistic approach to young adult therapy and wellness. Research shows that healthy eating, consistent exercise, good sleeping habits, mindfulness and meditation can have a positive impact on the treatment of depression and anxiety. All of these components are part of our daily routine. Students learn how to cook meals with an emphasis in locally grown, organic produce and food from the Pure Life garden on base days. Students also participate in a structured exercise and wellness regimen including a weekly yoga class, various fitness classes, and daily meditation and mindfulness practices. Everything we do at Pure Life has a purpose. Everything, down to the smallest detail of the daily routine, is designed to help students become their best selves. 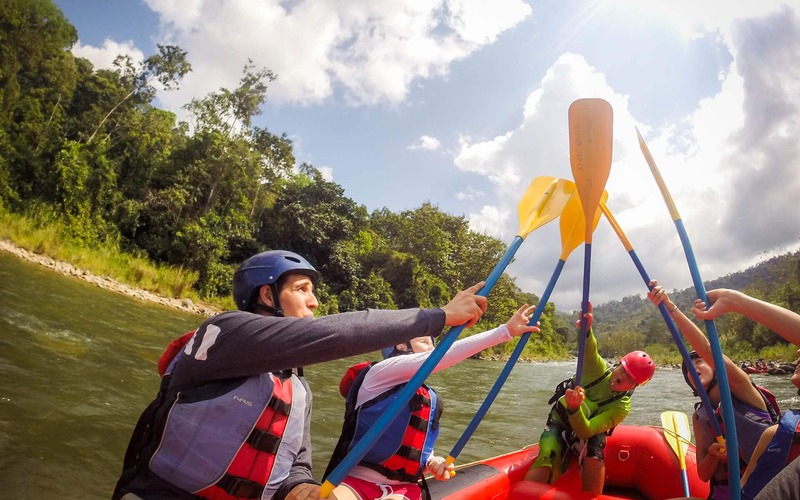 I came to Costa Rica for the first time in 2003 in search of the world-famous whitewater that I, a young river guide from the United States, had heard so much about. My initial plan was to stay in Costa Rica for three months. Three months quickly turned into six and as my mom likes to say, “You came home, but you never really came home.” In that short time I fell in love with this beautiful country and couldn’t stay away. Costa Rica has it all– mountains, rivers, waterfalls, beaches, wildlife, and miles and miles of exotic rainforest. However, what made the strongest impression on me were the people. The Costa Rican people–“Ticos” as they call themselves– are some of the kindest and most generous people I have ever met. Many international polls have ranked Costa Ricans as the happiest people in world. Just being around them has made me happier, calmer, and enjoy life just a little bit more. In the years that followed my initial visit, I started an adventure travel company and took many young adults and families on incredible, “off the beaten path” adventures in Costa Rica. Many would call me after their trip and tell me about how the adventure and the culture changed their lives. 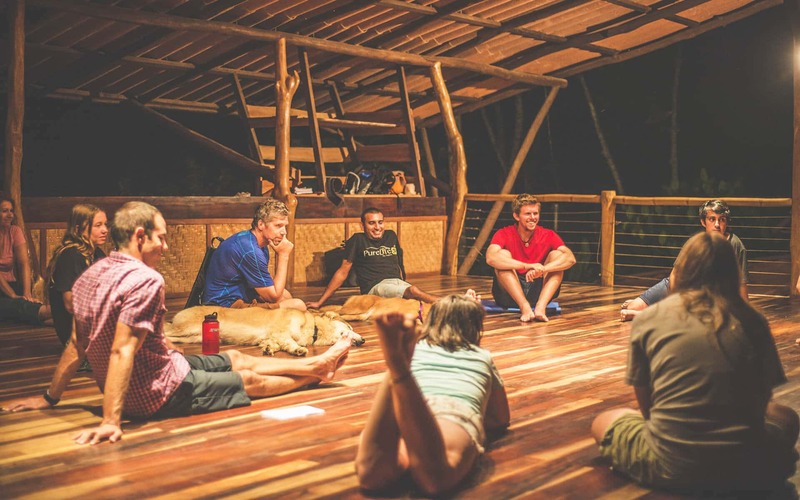 I started thinking about how to use adventure and cultural immersion in a more therapeutic setting and began working towards developing an adventure therapy program in Costa Rica. I reached out to industry-leader, Aspiro, to partner with me in creating the only international Wilderness Adventure Therapy Program in existence today. Aspiro taught this industry how effective Wilderness Adventure Therapy is for adolescents and young adults. Challenge and overcoming obstacles out in nature initiates intrinsic changes that are then translated back into normal life. Pure Life has taken the Wilderness Adventure Therapy model to another level by including a cultural element. Ticos have a common salutation, “Pura Vida”, which can be translated to “Pure Life”. It is a hello, a goodbye, a question, an answer and it can even be used to describe people or places. Pura Vida means more than its direct translation. It represents the values of Costa Rican culture–simplicity, finding joy in the small things, resourcefulness, and spending time with family and friends. We named our program Pure Life as a constant reminder of these principles. Welcome to Pure Life Aspiro. We are excited for the adventures that lay ahead and we hope to be a part of the change you are trying to make in your life.